As we haven't had much controversy on here recently - I thought I would ask a question that has long puzzled me:- "why does anyone here choose to model these awful looking characterless Diesels when there is the sublime option of Steam"? Of course I can well understand that our younger members who have grown up with these would be swayed in this direction but not the older generation who therefore must surely be going off the rails!!! Seriously though, I really am mystified by this and would like to hear some viewpoints which hopefully might make me view Diesels in another light (thinks: yes, darkness preferably!!!!!!!!!!!!!!! - Oh, why I am such a "mal hombre"! - sorry but my sense of humour is such that I just can't refuse a good joke when I see it). I must now put on my Hard Hat and retreat to a safe place - yeah, the looney bin I can hear some say! Hi Ken. Good to have you back. I'll tell you why I prefer diesels; it's because model steam locos DON'T MAKE ENOUGH SMOKE! - see my earlier post . . . Cherie Ho! DIESEL DIESEL DIESEL all the way. now i started with a few GWR kettles (7) which were DCC fitted and worked fine. as i was new to the hobby i decided to buy a EWS class 66 to pull my CMX track cleaner. now i was introduced to LIGHTS this was new and i would sit and just run forward reverse forward reverse for an hour or so. it just looked the business. i then brought a class 37 and i was hooked. i have tested the water with weathering and i much prefer the look on the diesels than on the kettles, they look like work horses. i have yet to try out sound, i am tempted but i know i will be bitten by the bug and that will be another story. i have heard many vids of sound locos both steam and diesel and i don't think you can beat a diesel loco idling away. Now while team locos hissing while waiting to take off are just as good as diesels in the sound departmemnt & combined with chuff-chuffs match diesel growls, I prefer diesels for the model electrical pickup & mechanical drive which I think is better than steam. Now I am comparing model diesels with all wheel pickup & drive - not the pancake Hornby version . Of course Steam locos from Roco with tenderdrive & loco drive using drive shaft are ideal for that purpose but having an European tender loco on a GWR branchline looks slightly out of place. The later Hornby/Bachmann steam are good in pickups & traction but I do believe the deisels are better in that field. Also diesels generally can tolerate sharper radius & bumpier/rougher track work than large steam locos. I have to agree with Ron's comments about diesels being able to handle less well laid track and tighter curves. With modern flywheel mechs they are smoother and able to haul almost anything one can hang off the couplings. Steam can be beautiful but I have often found that ugly prototypes make the best models because there is more character to latch on to. That applies to locomotives and to buses (cars and lorries too, I think), IMHO. Diesels also have more distinctive sounds, in general, although there are certainly particular steam classes that were very distinctive as well. With more and more sound-fitted models available that has to count for something too. I agree with Ron and Jeff . To me, diesels perform much better. I can't say I've ever been a fan of large steamers. They take up far too much room for me. I don't mind the tank engines though. Matt raised a good point about the lights too. 0ops should have mentioned I have no experience with British diesels. The trouble is there is no real answer to this! Why would some people like jazz and others prefer pop? Everybody is different and whatever gives pleasure for whatever reason to the individual is fine - be pretty boring if everybody was the same. I think that diesels do run much better than steam but even if this was not true I would still prefer to model the diesel era just because it is what I remember. The Southern Electric routes also fascinate me because I worked there for so long. For some reason the Diesel Hydraulics also interest me even though these had virtually all gone as I was growing up. In reality I could probably find a reason to like everything railways wherever or whatever they may be! my twopennorth, lorries are for roads not rails !!! that movement, steam and smoke, yummy. Ken - glad you're not being contoversial after your birthday !!! I think it's been said - your question was "why does anyone here choose to MODEL these etc.etc.". There's you answer. I have to agree with everyone - in model form, diesels perform far better - they pick up more efficiently and traction is much better. Larger motors / weights can be fitted because the body is just an ugly box !!! No sleek streamlined bodywork there. In real life of course, only those without a soul (or still wet behind the ears) would prefer dirty, noisy, polluting, smelly, characterless diesels (not to mention that dreadful colour and the arrows to say "I don't know if I'm coming or going") - to name but a few draw-backs !! Steam was alive, it had character, they had to be looked after, even nursed and, to get the best out of them, needed skill and knowledge. Diesels - you sit in them, press the odd button and flog the daylights out of them until they stop. You then send them into a garage where a "fitter" replaces the knackered part and the cycle begins again. Even I could drive one !! In addition, they use up Arab oil like there's no tomorrow and churn out black smoke (because no-one knows how to adjust the injectors properly) which just coats everything with greasy, poisonous grime. Steam also uses fossil fuel but there's still enough in UK alone to last 300 years. The debris from burning the coal (with the exception of the sulphur - the carbon monoxide arrives in such small quantities it's not worth bothering about) is non-poisonous and totally bio degradeable and is even rich in minerals which improve soil for the farmers. The sulphur is relatively easy to remove but, at the time, they didn't want to spend the money for the modifications. How many roads and yards have you seen with a base of diesel exhaust ? There must be thousands of acres of clinker-based hard standings around the country !! The running qualities of model diesels are far better as has already been mentioned and they cope better with inclines, are heavier etc. When fitted with sound and lights they are fun to operate. They can operate without the use of a turntable to have them pointing the right way and are easy to fit with DCC. Steam locos on the other hand look superb but are much more challenging to get them to run smoothly. Even with sound they still do not look like steam engines, they lack smoke and steam and UK engines did not really have lights. I know you can fit smoke generators, but they do not look real to me as the smoke is 'out of scale'. I do run some steam locos and enjoy watching them, but I find, as operating models, the diesels much more satisfying and less hassle. There that's my humble view! My GWR kettles will always be my real life favorites, but I'm a diesel convert as far as 4mm modelling is concerned. Lights, Sound and smooth operation, I even like the look of some of them now. Nurse, Nurse, my medicine is due, Nurse. You need to go and lie down Jeff ..............but I absolutely agree with you except it would have been LNER at the forefront !! I used to love the good old steam loco' and for years would not even look at a page in a mag or even a photo of a diesel, it was steam all the way for me, and even then they had to GWR only. And then out of the blue ( sorry pun intended ) a diesel appeared in the shed, and it ran like nothing I have even seen before, even at shows and with some of the best loco builders the steam loco's still played up. But the main reason that we moved was DCC, as at the time you couldn't really fit a decoder into many steam loco's, along with the pick-up, and the fact that they trundle along at slow speeds, so we brought another, and another and so on, we only have one steam loco that is DCC fitted, that being a class 45, and that plays up, and it's new !!. As Matt said, also the fact of lights, this then changed the way we looked at our layout, it also needed lights, and that meant a different way of viewing the layout, which adds more life to it, as we can run it as a daylight session, and also a night session. Then Sound ...........................................................................................but that's another story. I was wondering why the answers I was getting weren't exactly what I expected and now realise I should have added "apart from Diesel MODELS having better running qualities" --- which I wasn't aware of anyway! What I was trying to get at is why anyone preferred the look of Diesels when compared to British Steam engines - particularly the GWR (for Phill that bit!). Mind you Chris has brought me down to earth with his Jazz V Pop analogy so I guess it's a case of "beauty is in the eyes of the beholder". Just to take up the point of model diesels running better than steam....that may well be the case with 00 models,but in my limited experience of them in n gauge,I have a GWR railcar that runs like a pig,and have just acquired a farish power bogie for a future project that is also a noisey little beggar! As for the real things,I do have to admit to likeing SOME diesels,as in my train-spotting days they were everywhere..but it's still kettles I prefer,particularly those designed by a certain Mr.Churchward,and one of his disciples,Mr.Stanier. Well i like trains i like steam diesals or whatever they are powered by the point about what you grew up around is very true i can only just remember seeing steam trains as they were being phased out as i was growing up i suppose when i started trainspotting as a kid the kings were still the Deltics really but by that time the class 86 electric was far more powerfull i must admit everything today does seem to be DMU or EMU units there are not as many straightforward locomotives around now. John B, not having a good look at UK N scale locos, I cannot comment on running abilities but the USA models of Kato, etc, run like a Dream. Now that said, in the model form - most diesels( including electric locos)run better than steam outline. In real life Steam look better as if they are doing work. Based on looks alone I think all steam is way ahead of UK diesels. I would only be drawn to them for running qualities and sound. US [and Aussie] diesels are another matter. To me they look great. To be fair to the diesels, while there were definitely some that "only a mother could love", there were some good looking ones too, in particular, the Westerns and Hymeks - I rate the Westerns as the best looking diesels ever. Class 21 and 22 were pretty ugly with their sad-eye cab windscreens and chopped off noses. Co-Bo class 28s had some superb finishing on the real ones, but really ugly styling and very strange detail work - it is only a matter of time before someone does a RTR model (besides the old Hornby-Dublo one). Even with steam, there were ugly ones (eg Mucky Ducks!) and handsome ones (eg King Arthurs). The ugly ones make superb models but there was a class of 0-6-4 tanks around the Liverpool docks that would make some of the ugliest models ever if anyone was to try modelling them. they had small driving wheels, outside frames, and lots of rivets that would have done credit to a battleship, plus cabs that had been extended later and looked like it. The point I'm making is that both steam and diesel have their good and bad characteristics according to the class involved and the viewers personal tastes. I like both steam and diesel, and both have a place on my layout. Ok i have my view point, i have gone for diesels due to the size and type of layout i have. As its mainly a shunting layout, abliet with a loop in the middle i thought the diesols was the way to go and i just love the 08 shunters. The sound to me anyhow is more real and i just love the way they start up andd gradually build up power and then off they go, oh bliss. Now this may sound strange but when i started on here a few years back i always took the mick out of Jeff,s GWR but then i started to research GWR to see what was the big issue and as Jeff said, if GWR still existed they would be the forefront in diesel's. For some reason GWR always pioneered the first of everything and the more i researched the more i found i was falling in love with some of the steam loco's but as i say my layout is too small for them so i am a diesel man and i do not think GWR could match my favourite loco the 08 shunter. If i ever re built my layout in the future then i would, no not saying anything . As Tim said as well, the cost is a issue as well, steam i find is dearer than diesel. In real life i much prefer steam due to noise, smell etc. They do talk to you and they all talk different as well, its true you listen to one when you next see one. Phill, you could use the GWR pannier like it is shown in your birthday present thread. About the same size as an 08.
steam every time for me. Deisels# dirty smelly ugly brutes, theres no romance in them!! mikeyh wrote: steam every time for me. Deisels# dirty smelly ugly brutes, theres no romance in them!! I agree with what Chris said. It's down to personal peference. I usually prefer steam, especially big steamers like Big Boy Y6b, AD60 or BR06 but have a few electric and diesels too. They all get run. My most recent purchase was a diesel (a green one) and am very happy with it. Diesels and electrics for me as this is what I grew up with. Mainline steam ended a few weeks after I was born. However I was talking with the mrs recently on this and although she is'nt a rail enthusiast she prefers steam to diesel. I have to say that I love the smell of the steam locos but if I had to choose my favourt would be the west coast electrics. Well with a few shares in ETL im a bit biased! I came across this thread while searching for something entirely different (as you do) and wondered if any members who posted have changed their mind in the intervening seven years. Also thought it might be interesting for newer members to express a view. In my case initially, it was definitely the better running of Diesel Models in the rather dirty garage environment where I have my attempt at a layout that made me change. However having now developed an interest in AC locomotives as well, I'm finding it all rather interesting. When I were a lad in 1950s and 1960s a pair of my favorite books from the library were unusual railways. In subsequent years I have been a sort of collector of second hand books. Generally of a technical nature and for the content rather than condition. Generally these are on trains, planes and motorbikes although not exclusively. When it came to trains the quantity available was overwhelming so I ended up specialising. In the main I went for electric trains and in the process discovered a rich historical trail. In terms of railway traction the US started well, and then went in reverse!! Clean electrics replaced by dirty diesels. In terms of books I found some extremely interesting tomes on electric traction. In terms of railway modelling I discovered the old Hornby Dublo three rail track and decided that electric trains needed three rail track. A lot easier than string overhead wires. As off shoots from electgric trains i discovered trams and urban railways. Both interesting in a historical and current context. Discovering details on the defunct Liverpool overhead electric system was possibly my best discovery. So as far as I am concerned I prefer trains where the combustion takes place at the end of a wire, rather than on the train. I am not an extremist though and still enjoy all other forms of locomotion. My favourite diesel rail cars are the four wheelers! Subsequently acquired old tattered copies of Unusual Railways for myself. So I will add that I am also a monorail fan. For those in the know about motorcycling I maintain the minority thread there by riding an MZ. One of these days I might even specialise!! Has to be steam, I model Southern railway mid 1930s, Maunsell did play with diesel shunters towards the end, but they didn't get anywhere near my neck of the woods. As for that western lot, their locos are boring, all the 4-6-0s look the same, tank locos 2 options either panniers or prairies, give me variety any day. Plus they're the wrong colour green! Dorsetmike wrote: Plus they're the wrong colour green! Ed wrote: Dorsetmike wrote: Plus they're the wrong colour green! In 12" to the foot, I'm still very much a steam man. They all had "character" and it was an art driving them to obtain peak performance. The designs were many varied, the smell was fantastic and, to us as "lads" they were huge snorting dragons. As a "northerner", I can only really comment on LMS and LNER - long distance, powerful locos as well as the ubiquitous "shunters" and smaller goods/local passenger locos. All oozed power and the express locos had flowing sleek lines. A real art form. GWR had shiney "bling" things on top to disguise the fact that they were crap and Southern used an insipid pea green colour although I did quite like the Battle of Britain class. As for the "Q1" Class - nuff said !!! In model form, it's a different story. Diesels are, with the exception of DMU's, just characterless boxes on wheels and, if you fill that box with weights and a big motor, then their hauling power is much improved. It's a pity but that's life. Having said that, there really is no excuse for that dreadful blue with big "coming and going" arrows - in model or lifesize form !! Typical of BR in those days, they didn't know their fronts from their backsides. I might have to close this thread if you all don't vote for GWR. During the 1930s before you LNER types sent OVSB south we had a pleasant dark olive green, the horrible shade you refer to, which I wont name here cos I always mis-spell it with an s near the middle, was all Bulleid's fault, along with his 'orrible locos, that's why I don't model later than 1937. I whet my appetite for steam back in 1946 when we had Exmouth Junction sheds at the bottom of the garden. Mother always knew where to find me, glued to the fence. A subsequent move to St. Thomas's in Exeter and my bedroom looked out onto the run in to the station and to my 5 year old eyes the Great Western locos with their brass did it for me so I switched allegiance. Have been a staunch GWR fan ever since. Although we lived on the Notts/Derby borders for about 16 years when I finally settled down most was Diesel by then but I got involved with the Keighley & Worth Valley and also the Midland Railway Centre and started to take a look and interest in some of the ER and LMR Region stuff as well. Now I am back in God's Wonderful Country and am back on the GWR tack again. As for modelling them, then Kettles, from any of the big four will do, diesels taking a second place, although my collection does include both. The stuff I find hard to take a liking too is the ubiquitous Class 150/153/143/43 and Voyagers that we see every day. A freight engine is rare down here now which does break up the boring monotony sometimes, although seeing one is often very difficult. Spurno wrote: I might have to close this thread if you all don't vote for GWR. Just a thought for Max . All my steam engines produce MORE steam than my diesel engine . I don't get it, Ted. Yes. I haven't posted to this thread. Are you confusing me with someone else? Post #2 Max, long time ago. Thanks, Ed. April 29th 2009 No wonder I didn't remember. Blimey, I'd forgotten all about my initial posting on this (7 years ago, wow!) and it was a bit tongue in cheek! But the forum at that time was limited to 100 members and we had a lot of fun, in fact it really was like a family in the best sense of the word. Mind you I still feel the same about the look and general ambience of steam locos as compared to diesels (Peter has summed it up very well) but of course we all model what we like best or more likely what we grew up with so basically it's different strokes for different folks. do not produce enough steam for your liking .Then saying you prefer diesel engines. I still say my steam engines produce more steam than diesel engines. ( HA HA. ). There is a young guy here in Adelaide, Dan Shepherd, who has smoke coming out of the places where steam comes from on a steam engine. It could even be on YouTube. MaxSouthOz wrote: There is a young guy here in Adelaide, Dan Shepherd, who has smoke coming out of the places where steam comes from on a steam engine. Hi Peter - firstly let me say I'm glad you are recovered from your recent fall & are back on form (or forum). However your injury must have upset your peception! Wasn't a GW loco first to record over 100 m.p.h. in 1904? Didn't a 'Star' class wipe the floor with it's LNWR competition in the 1910 loco exchange? In the 1925 interchange trials wasn't it a 'Castle' that trumped everything? In the early '20s Maunsell got his personal assistant to ride a 'Castle' and later recommended that the new Southern express loco should be a four-cylinder 4-6-0. After a 'Castle' was loaned to the LMS in 1926 the LMS loco department came up with a 'new' express passenger design, culminating in the 'Royal Scot' class, refered to during the production stage in official LMS correspondence as Improved Castles. In 1927 the new King class ' King George V' was shipped to the USA as a prime example of British engineering where it impressed the American railwaymen by it's power and complete lack of black smoke. In the 1948 freight locomotive trials Churchward's 28XX (a by then 40 year old design) came on top above Thompson's O1, Stanier's 8F & Riddles' WD 2-8-0 & 2-10-0 designs. You couldn't wear out a Dean Goods. Introduced in 1883 they were shipped all over the place during two World Wars and were still in service at the end of steam on BR in 1964. So you can't dismiss the motive power of God's Wonderful Railway as 'crap'. I think you should go and have a cup of sweet tea and gently slap the side of your head until reason returns! Nope, I can't see any "bling" things on top either Mal. until recently, and then it was only by a 9F! had the best rolling road/testing equipment as well. *edited to remove his swear word! Ed wrote: Nope, I can't see any "bling" things on top either Mal. And Mal, I think you've probably made a few reasonable points but actually misrepresented the facts. In 1910, the LNWR kept it's best locos in reserve - they were clever enough to anticipate the Great War some 4 years later and knew the nation would need some "proper" locos then. But be careful - "Don't let the stars get in your eyes, don't let the moon break your heart ........etc. etc........"
It is alleged that City of Truro reached 100 mph. Of course the City of Truro had the benefit of going down Wellington bank, 1 in 90. What's more impressive is the second half of the run from Bristol to Paddington, with the Dean Single "Duke of Connaught" pulling 120 tons, where 91.8 mph was reached on the flat. Wellington Bank was the racetrack of the Bristol and Exeter in broad-gauge days, with Pearson 4-2-4 singles reaching nearly 82 mph. The above illustrates why diesels took over from steam. Nothing to do with cost per mile (the difference between an efficient steam engine and a 2-stroke diesel electric was marginal to minuscule and usually in favor of steam until the engineers learned how to get maximum power from diesel engines by turbocharging), it was how far they could run without refueling/maintenance. 300-400 miles for passenger engines, 100 or less for freight engines. Compare that to the thousands regularly clocked up by even the early diesels. 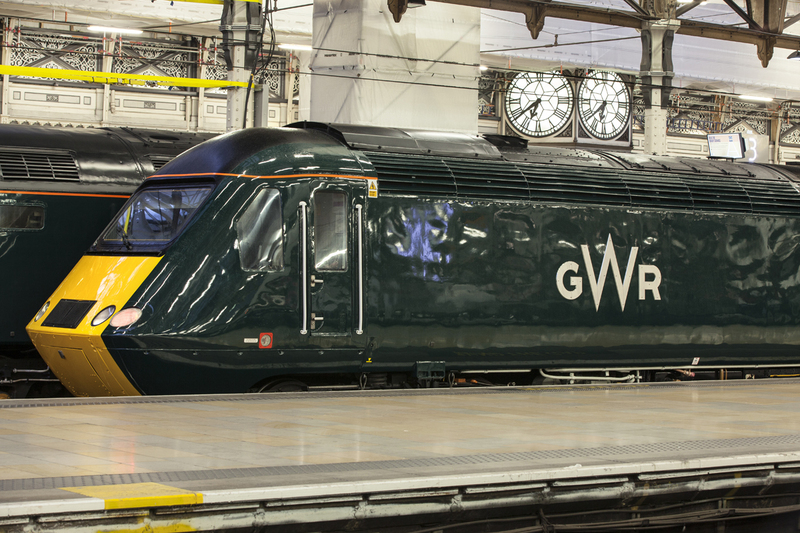 GWR. Never mind the bling, feel the quality. Everybody knows that Churchward designed his standardized steam engines to have mechanical tolerances way in excess of the other companies. The wear specifications for a general repair at the GWR were often better than those "as new" from the others. Need I mention failed third cylinder main bearings, cracked cylinder heads, and aniseed bombs? Eventually solved by using decent GWR-style valve gear and GWR main bearings. And keeping the speed down to 80 mph 'cos they weren't really up to 100 mph running. From a modeling perspective diesels are just as interesting as steam engines. Both types suffer from less than satisfactory smoke and steam generators, one of the many things we have to live with in HO/OO. If you want realistic steam and diesel exhausts move up to G-scale (or larger). Or join a local preservation society. suffice to say that jealousy is a sad affliction. And I refrained from bringing up the world steam speed record. Just. Oh why not. I have come across 2 independent confirmations of Pennsylvania Railroad's pacific 7002 127.1 mph run in 1905. Line-side stopwatches by PR officials and signal box telegraph operator reports in real time to headquarters over a continuously open line when the train passed. Belpaire boilered. Much more efficient steam generators if not as pretty as the circular types. On a more serious note, many North American passenger steam trains routinely ran at a scheduled 100 mph for long distances (which meant going considerably faster to allow for starting and stopping, signal blocks, etc.). Diesels were often geared for 100-120 mph running over here, but rarely exceeded 87-90 mph (due in part to the limitations of single track running and ICC politics). It's telling that the current high speed trains are all electric. And rare indeed is the layout that models them. Wonder why? (apart from the obvious catenary construction issue, they look a bit silly with the pantograph raised and nothing there).